In addition to women’s styling, Stitch Fix also has a men’s clothing subscription box service that is focused around vamping up the style in your everyday wardrobe. When signing up, you take a pretty in-depth survey so your stylist gets a handle on what you’re looking for. Questions range from your occupation, your personal style, sizing, pricing preference, and so on. You can even send them your Instagram or Facebook page so they can get an even more personal feel for who you are. 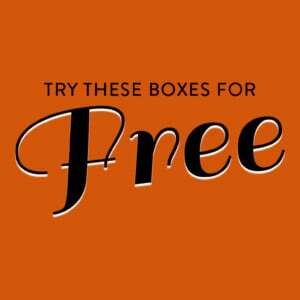 Check out all of our Stitch Fix Reviews and the Men’s Clothing Subscription Box Directory! It’s that time of the year to get cozy and warm – this latest fix was a good step forward with that in mind. You’ll get this little packet in your shipment. Inside, you’ll find all of the details on how to proceed with your fix – from trying items to buying an item to returning an item. Stitch Fix also provides a little style board for some items. These include idea on styling it with other items, whether or not they’re in your current box or not. And a trusty little bag for sending bag an item or two. Let’s start with the feet. During this cold spell, there’s really nothing I love more than flannel. I’ll take flannel sheets, shirts – anything really, so a flannel sneaker? Why not? I’m typically more a fan of a darker sneaker than a light sneaker – I still love those white Adidas, though – so I’m really into these. They’re immediately comfortable to wear without too much breaking in – plus, it’s a bit warm with the flannel material, a bit like Allbirds’ wool shoes. I wasn’t super excited for this one at first sight, but after wearing it a few times now I can say that I’m a fan. It’s a bit of a mixture of two things that I love – henleys and hoodies – so I’m not that surprised that it grew on me. This hits my sweet spot, for sure. The fit is absolutely perfect, the pattern and colors are my tastes – and it’s flannel – it hits all my checkboxes! I’m kind of loaded up with dress shirts, so I had planned on shipping this one back when I unboxed it. Buuuuut, after trying it on, it just fit too well – _ thought it looked great and can be worn in a number of different scenarios – so I decided to hang on to it. It’s reversible and features a different style and color. The biggest style difference is the pocket, really. You’ll get a nice double breasted pocket with a button flap on the gray side. While the green side is still a button pocket, but without the flap. The most challenging part of the jacket comes down to using these crazy dual-buttons – it’s just a bit more time consuming than I want it to be. One of the pros of a reversible jacket is that you’ll get two inner pockets. Overall, it’s a cool concept, but the green side didn’t look anywhere near as nice and requires some cutting to make it wearable. Neat concept, but I’m not sure they pulled it off completely. Verdict: I’m loving Stitch Fix so far. Overall, I’m finding that they’re doing a good job with the seasonality of my clothes according to where I’m located, and they aren’t overloading me with too many options each month. So far, it’s been my favorite of the men’s clothing subscription services. Can you still get this box if you sign up today? Stitch Fix curates its boxes based on each individual’s preferences as well as what’s available. Value Breakdown: You’ll pay a $20 styling fee with free shipping and returns – Just pay for the items you keep! The total retail value of the items inside my shipment today is $267, which is an average of $53.40 per item – plus, you’ll save 25% when you keep all of the items in your delivery. What do you think about Stitch Fix for Men? Have you or anyone you know tried the service? How do subscribers rate Stitch Fix Men? 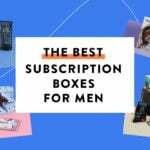 Do you subscribe to Stitch Fix Men? Add your rating now! The Henley is my favorite on you. Thanks – I did keep that one! looks nice! great job modeling!